Kenneth W. Padgett, D.C. began practicing chiropractic in 1959. He has held the offices of NYS Chiropractic Association President as well as President of the American Chiropractic Association. He is past President and Chancellor of New York Chiropractic college as well as past President of the Association of Chiropractic Colleges and the Association for Chiropractic History. 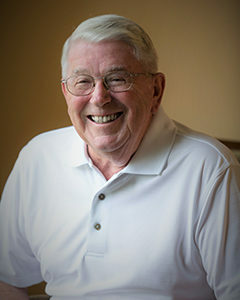 He is the recipient of numerous awards including the Paul M Tullio Award for distinguished service to the Nation al Board of Chiropractic Examiners, ACA Chiropractor of the Year, FCLB George Arvidson Award for meritorious service to Chiropractic and recipient of the ACA’s Meritorious Service Award to Humanity and Chiropractic. Dr. Padgett resides in Varick, New York during the warmer months and continues to see patients on a part-time basis at Ryan Chiropractic. During the winter months, Dr. Padgett enjoys the sunny, warm Florida climate.